Holy week is next week and if you're kinda stressing about what to cook/eat, I wrote something for 8list that could just about address that. Heehee I'm relatively new to cooking but man oh man am I so into it now. 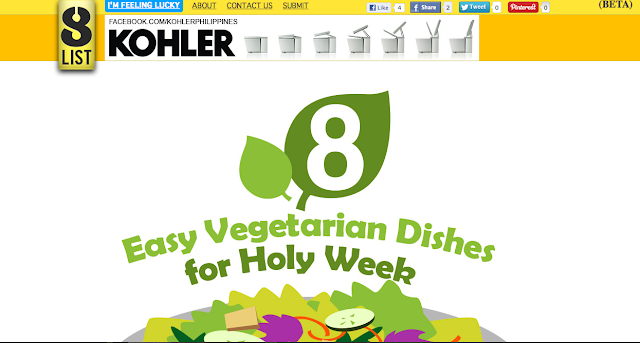 Click here for my 8 Easy Vegetarian Dishes! i didn't know you were the one who wrote this! galing!